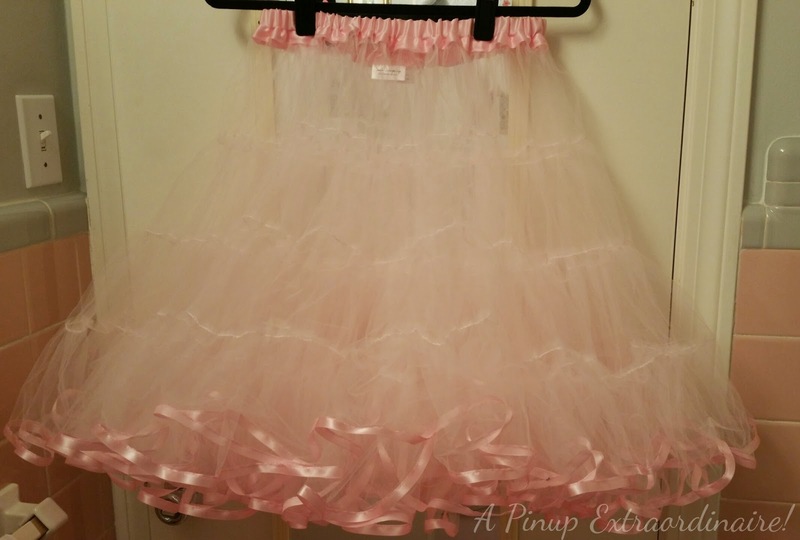 About a month ago I ordered a custom crinoline (colors of my choice) from an Etsy shop, Swank Underpinnings. I was delighted that the shop sold sample swatches of tulle, chiffon, and ribbon to help me decide the best color and material combination. Based on the speed of receiving my samples I knew that eventually purchasing the crinoline would be a good decision. Handmade crinolines are priced a bit higher than ready made crinolines but you have the choice to get colors as you want them (such as an aqua crinoline with pink trim, etc), you have options for fullness (or less fullness), and length. All the customization possibilities make me giddy with delight! The handmade process takes about 2-4 weeks depending on the type of crinoline purchased and the seller informs you directly. I love shops with excellent communication! The crinoline is the softest, fluffiest tulle. I've only tried it on once so far but I instantly forgot I was wearing it as it didn't scratch my legs. That's usually the most disappointing part of a crinoline. Also, my crinoline arrived in its own storage bag to keep it from being damaged. I appreciate having the storage bag and care instructions to extend the life of my crinoline. Next to my dress, this is one of the best purchases I've made for my wedding ensemble. 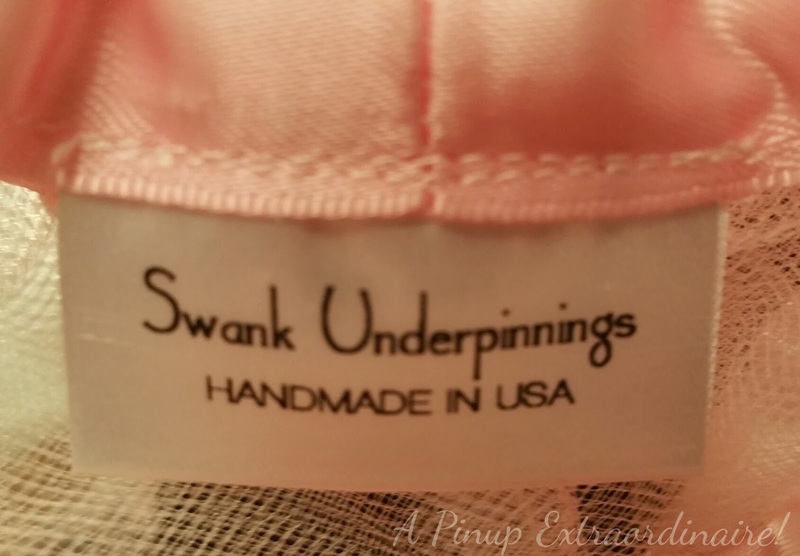 If you need a crinoline check out Swank Underpinnings for quality crinolines and great service! Have a favorite boutique for wedding items? Or a favorite purchase? Share in the comments, please.